Q| What dangers should be avoided when selecting a route? locks overgrown with moss, lichen or grass. )Tufts of grass/small bushes growing from loosely packed soil. )Gullies that are subject to rock fall. )The most common danger is overestimation of your ability. 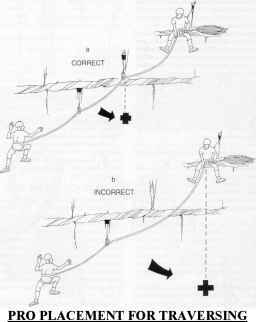 3 During this period of instruction we have discussed the dangers to avoid in party climbing, four responsibilities of a lead climber, climbing commands, when you place pro and Fall Forces. Those of you with IRF's please fill them out and pass them to the instructor. We will now take a short break.